The 2019 lineup of your favorite vehicles from Chrysler, Dodge, Jeep, and RAM is now available. Take a few minutes to see what is new and exciting in the latest versions of these autos and which of your favorite features are making a return. The 2019 Chrysler Pacifica remains a favorite among families in search of the perfect minivan. For the latest model year, you can now get the S Appearance Package on the hybrid version, giving you black 19-inch wheels and black accents. The 2019 Chrysler 300 is very similar to the previous model year, including a range of modern technology, such as the large touchscreen and SafetyTec Plus package for advanced safety features. The 2019 Dodge Challenger gets a new rear-drive GT model in addition to the AWD version already available. The 2019 Dodge Charger and the 2019 Dodge Challenger feature the same new front fascia. The 2019 Charger also gets the option of AWD on the base trim and get the same rear-drive variation of the GT available. The incredibly powerful 2019 Dodge Charger SRT Hellcat is still available with its 707 horsepower via a supercharged Hemi V8. 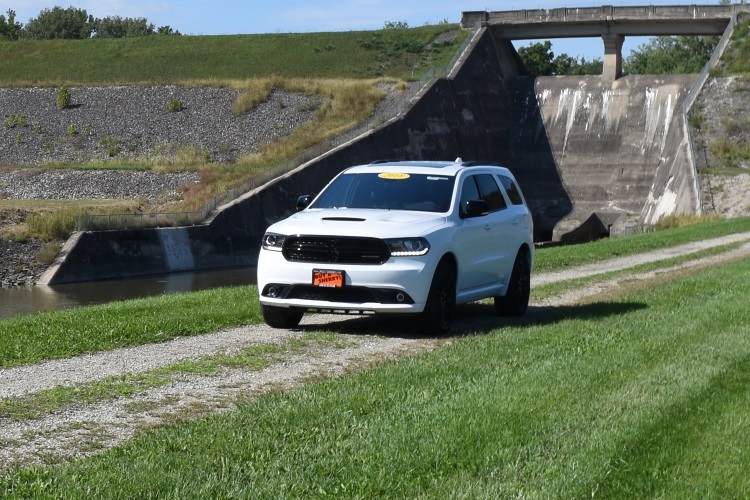 The 2019 Dodge Durango GT gets a new, functional SRT hood, and for this year, both the R/T and GT trims now offer 20-inch wheels in your choice of Brass Monkey, Matte Vapor, or Satin Carbon finish. All Durangos also now offer rear-cross-path detection and blind-spot alerts as a single standalone option. The 2019 Dodge Grand Caravan continues for this model year, but it is largely familiar for those who have taken it for a test drive in the past. You will still find three trim levels to choose from and the reliable yet efficient 3.6-liter V6 engine. The Dodge Journey is still on the lineup for 2019, offering drivers a three-row crossover that is perfect or families. For 2019, Dodge streamlined the lineup to just include three trim levels. This means that the base version of the Journey now has sportier styling and standard three-zone climate control. You can also now get the 3.6-liter V6 engine on the Journey in addition to the standard 2.4-liter four-cylinder, and you can now configure it with the Blacktop Appearance Package. The 2019 Jeep Compass is in its third model year but has already made a strong name for itself. There are new trims for the 2019 model year, including a package called the Upland that delivers the 17-inch wheels from the Trailhawk Package. Or you can get a new High-Altitude Appearance Package with an enhanced Uconnect touchscreen and various exterior upgrades, including 19-inch wheels. The Compass also now has adaptive cruise control. The 2019 Jeep Cherokee has a revised exterior, both to the front and rear. The taillamps have a new appearance for a more dynamic feel. Inside, you will notice that the leather-trimmed seats are meticulously crafted and slightly different on every trim. You will also spot the familiar engines, including the 3.2-liter Pentastar V6, 2.0-liter Turbo, the 3.2-liter Pentastar V6, and the 2.4-liter Tigershark MultiAir 2. The 2019 Jeep Renegade sees a comprehensive update with a new turbocharged engine and refreshed looks plus more features. The front and rear portions of this SUV seem more modern than before with their newly available LED taillights and headlights. A 1.3-liter turbocharged -cylinder joins the familiar 2.4-liter 4cylinder engine. Following the all-new Jeep Wrangler for the previous model year, the 2019 Jeep Wrangler has even more upgrades. You can get new engines, including the 3.0-liter turbodiesel V6 and the 3.6-liter V6. You also get better safety features than before, including forward collision warning and adaptive cruise control. There will also be a new Jeep Scrambler hitting the automaker’s lineup. This may be a part of the 2019 lineup, but Jeep has yet to confirm when the Scrambler will arrive or provide any details. It will, however, make its debut during the LA Auto Show very soon. The biggest news for the 2019 RAM is the fact that the RAM 1500 is now in its fifth generation, meaning it is all-new. You will notice improvements to efficiency, towing rates, interior space for people and cargo, and a lighter frame. There is now an optional 12-inch touchscreen with Uconnect 4, and it can tow up to 12,750 pounds. 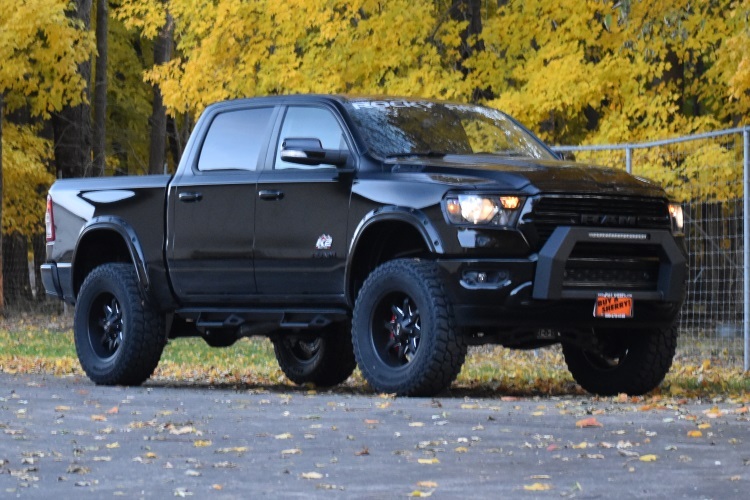 The RAM 2500 and RAM 3500 are carryovers, with the major updates to those heavy-duty trucks coming for the 2020 model year. The top trims, however, do already get the new styling to give you a hint of what is to come. Consider checking out all of the new 2019 models from Chrysler, Dodge, Jeep, and RAM in person.